Natural stone is an ideal application for commercial and residential projects as well as virtually any type of remodeling. Products such as marble, granite, slate and limestone add real value to your property. Mees Tile & Marble has an impressive inventory of all types of tile, including decorative, handmade and hand-painted or sculptural relief tiles. Mees Tile & Marble also stocks imported Italian tiles featuring patterns and colors that are on the cutting edge of style. Mees Tile & Marble is in a unique position to offer you exquisitely crafted material fabricated on our state-of-the-art equipment. Visit our showroom to see just what the beauty of stone can add to your project. Let the Interior Designers at Mees Tile & Marble assist you with specifying the material and details that will make your home a showplace. Personally choose the specific natural stone slab you want for your project. Pay by the sq. ft. for in stock stone. Pay only for what you utilize on your project (engineered quartz excluded). No need to buy the entire slab. Both Louisville and Lexington Mees Tile & Marble stores inventory over 100 colors of natural stone slabs we import from around the world. • What is the process for purchasing granite and other natural stone? • What edge profiles are available? • What finishes are available? • How do I care for my stone products after installation? Marble is a metamorphic stone which has a structure that can take a very high polish. 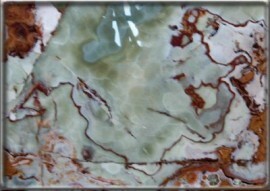 Marble will normally show "veins" or high concentrations of movement. Because of its beauty and elegance, marble is a popular choice for countertops, floors, foyers, fireplace facings and hearths, walls, decorative features, and windowsills. Learn more at Marble Institute of America. Granite is one of the most durable stones used in artistic and architectural applications and is a great solution for projects for homes or businesses. 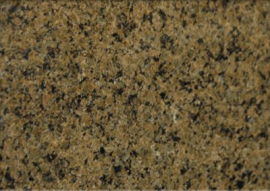 Granite is highly resistant to scratching, cracking and staining, and is impervious to heat. It is often used for counter tops, flooring, walls, and architectural trim. Each type of stone is unique and will vary in color, texture and marking. Learn more at the Marble Institute of America. 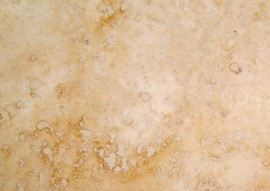 Travertine colors are warm, earthy tones and never appear as one solid color. The color tones vary and veins or bands of contrasting color run throughout the stone. Travertine is used for walls, kitchen back splashes, travertine sinks, floors, mosaics, columns, statues, fireplace surrounds, tub surrounds, vanities, and more. 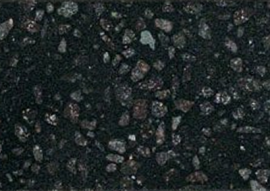 Because onyx transmits light, it is most often used as a fireplace surround, bar top, or small island. It is also used in wall cladding, sinks, light duty residential floors, and tables. Backlighting or under lighting can accent the stone and highlight the color and the stone's translucent qualities. Learn more at Marble Institute of America. Quartzite is a hard metamorphic rock which was originally pure quartz sandstone. Pure quartzite is usually white to grey, which are very popular colors, though quartzites often occur in various shades of pink, red, yellow, green, blue and orange, due to other minerals. It is harder and more resistant to stains than granite. Limestone is widely used in architectural applications for walls, decorative trim and veneer with colors typically light gray, tan or buff. 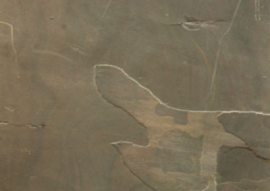 A distinguishing characteristic of many limestones is the presence of fossils that are frequently visible in the stone surface. Mees Tile and Marble can supply limestone, special cut stones, as well as veneers for both commercial and residential projects. 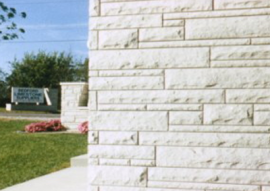 Limestone can also be matched to existing limestone on your building. 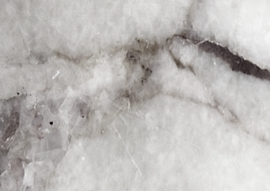 Mees Tile & Marble offers Quartz from Caesarstone, available for countertops, backsplashes, and vanities. The CaesarStone® collection ranges from fine-grained salt and pepper motifs to coarse-grained color blends with variegated textures. Quartz stone surfaces are the ultimate choice for kitchen countertops, backsplashes, bathroom vanities and commercial interiors. Fabrication Department & Showroom at 4700 Astor Rd. Mees Tile & Marble's Houzz site. Member of the Marble Institute of America since March 1998. As a member, Mees believes & affirms the MIA code of ethics. Mees agrees to promote, support & abide by the MIA code of ethics. © 2018 Copyright by Mees Tile & Marble, Inc. All rights reserved.